I discovered a wonderful sourdough recipe book called: Simply Sourdough ~The Alaska Way~ by Kathy Doogan. Bought on Amazon for $7.95 this booklet has history about sourdough, how to get started with sourdough, tips for working with sourdough, many delicious recipes and a free sourdough starter packet! After making several recipes from this recipe book, we decided to dedicate a week to sourdough recipes. We will give you a brief history about sourdough…a traditional recipe to get you started with sourdough…a few sourdough “terms” and a few “tips” for working with sourdough. 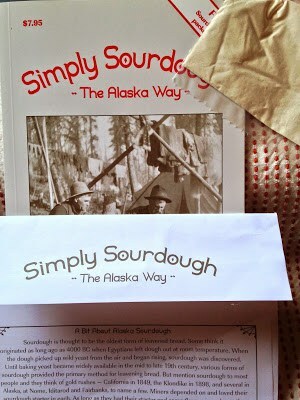 All information can be found in the book by: Kathy Doogan, Simply Sourdough The Alaska Way. Here are a few sites that you will find helpful in your quest to learn all you can about sourdough. Sourdough Home, Weekend Bakery. When I first became interested in sourdough, I had absolutely no idea what I was doing, where to begin or how to begin. I found these websites extremely helpful. Sourdough is thought to be the oldest form of leavened bread. Some think it was discovered as long ago as 4000 BC, when Egyptians accidentally left some dough out at room temperature and it picked up the wild yeast in the air and began rising. Until commercially produced baking yeast became widely available in the mid to late 19th century, various forms of sourdough provided the primary method of leaving bread. When people think of sourdough, most people think of gold rushes and prospectors in the California gold rush of 1849 and the Klondike gold rush of 1898. Alaska miners depended on their sourdough starters. As long as the miners had their starters and flour, they wouldn’t go hungry. The miners treasured starters were passed down from person to person. Some were even treated as family heirlooms and passed from generation to generation, especially in Alaska. Perhaps the best known sourdough, is the distinctively sour taste of San Francisco sourdough bread. One bakery in San Francisco claims to have been making sourdough bread from the same starter since 1849. San Francisco is said to get it’s distinctive sour taste from the water to maintain the starter and from the special enzymes found in the air in the San Francisco Bay Area. The easiest way to get started with sourdough is to get some starter from a friend or relative. If that isn’t an option, you can make your own. 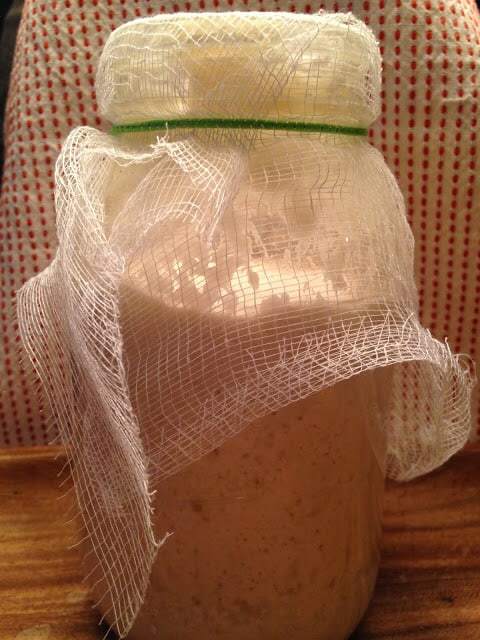 When I first started my sourdough starter, about a year and a half ago, this is the method that I used for one of my starters and I sent away for a packet of free starter for my second starter. Hooch: A harmless watery liquid, varying in color from clear to yellow to dark brown. This liquid contains alcohol that forms on your starter, most often on top but it can form on the bottom. Proofing: Allowing your starter to ferment and become active. Sponge: An active starter, ready to use. Never store your sourdough tightly covered; gas given off by fermentation can cause a tightly sealed container to explode. Sourdough can react to metal, it’s best to avoid metal utensils and bowls when preparing recipes. If the starter forms a layer of liquid on top, this is a normal by product of the fermentation process. Pour off the liquid if the starter is thin or stir it in if the starter is thick. The ideal consistency for starter is like a thick pancake batter but this varies from person to person; some people prefer their starters thin and others prefer their starters thick. 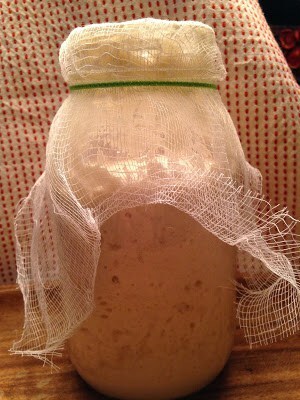 Sourdough starters are very forgiving…you can literally neglect your starter, and it will still come back. 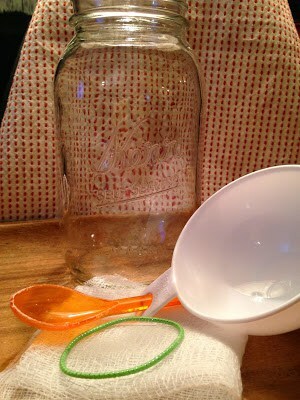 Place ingredients in a large, wide mouth glass jar. I use Kerr or Ball canning jars. Blend the ingredients well with a long-handled plastic spoon. To the remaining starter, add 1 cup flour and 1 cup room temperature water, stir well until most of the lumps are gone. After 3 or 4 days of replenishing the starter, it should be bubbly and have a pleasant sour smell. It is ready to be used immediately, or can be placed in the refrigerator with a loose cover and refrigerated for later use. Replenish your starter as needed. Combine sourdough starter, oil and egg. Stir together dry ingredients, flour, sugar, salt, baking soda and cinnamon and add to the sourdough mixture. Pour dough into a greased 9-inch square pan. With a pastry blender, mix together crumb topping ingredients. Sprinkle topping on top of batter. Bake at 350º for 35 minutes or until golden brown and toothpick inserted near the middle comes out clean. 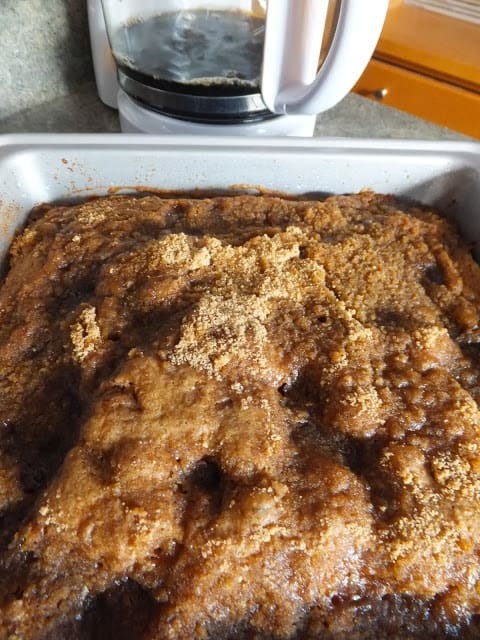 Mix together icing ingredients; 1 cup powdered sugar and 1 to 2 tablespoons french vanilla coffee creamer or milk, drizzle over warm coffee cake. Sourdough Love is another fantastic article with tips on Sourdough. I do a fair amount of sourdough baking, but still consider myself a novice! I have Kathy Doogan’s sourdough book. Do all recipes require that the starter be in “sponge”/active state? I think I have read that a number of recipes can be completed with discard, or starter right out of the frig (unfed). Your experience/comments are appreciated. thank you. I've always wanted to try my hand at sourdough. Thank you for including tips and terms–very helpful. This coffee cake looks good. I saw your sourdough beignets and they look good too. Thank you for linking, Lynn. Thanks Michelle~ If you ever want to get started, I can point you in the right direction:) It's alot of fun with so many delicious things to eat! 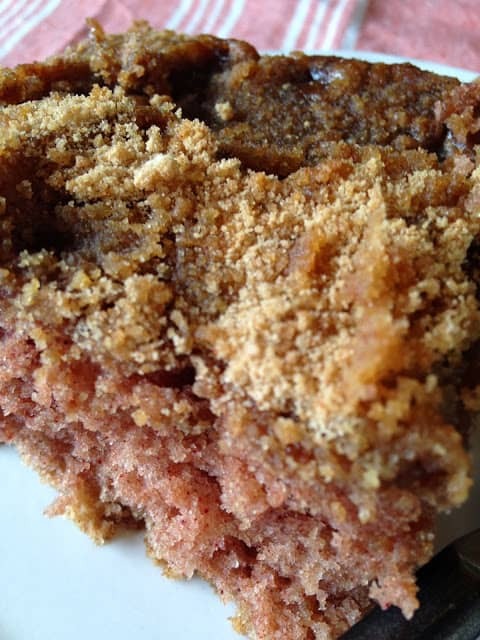 This is a wonderful coffee cake. My husband is a connoisseur of deserts and this one is on the top of his list! Thanks for posting. Oh by the way, I started my "started" Feb 2016 and I knew nothing about it! 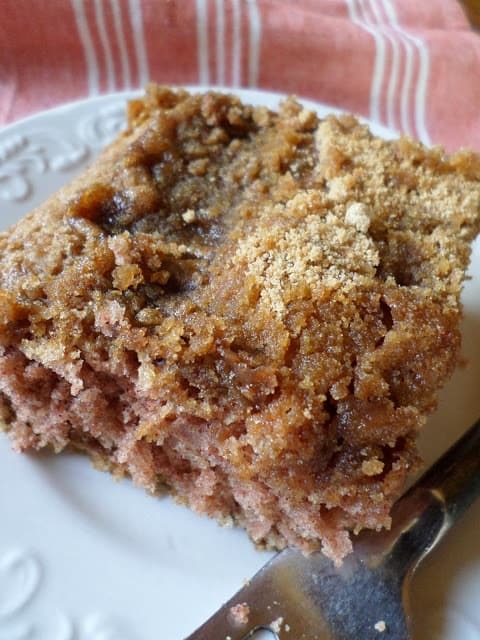 Now I bake two loaves of bread a week along with this coffee cake!